Authorities probing new NAIA "modus," an upcoming INC event, and more. Talk about #ThrowbackThursday. 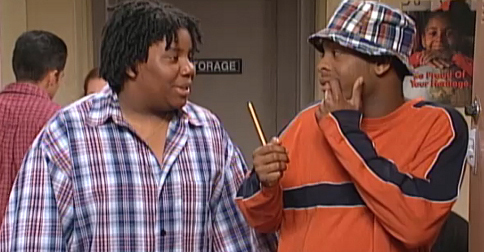 You have Jimmy Fallon to thank for the sudden reunion of one your favorite comedic duos from the '90s: Kenan and Kel. The show reunited the two actors for an ode to Good Burger, the popular All That sketch that later spawned a 1997 movie of the same name. Spoiler: They're as funny as ever. Although reports say Jessy Mendiola and JM de Guzman have split up, the former allegedly denied their breakup, according to Bandila. She didn't divulge any further details, but she later lashed out at bashers on her Instagram account. "Tigilan niyo akong lahat. Hindi niyo alam pinagdadaanan ni JM ngayon at mas lalong hindi niyo alam nangyayari sa aming lahat," she partly wrote in a comment. "Tumulong na lang kayong maging maayos lahat imbes na naninira kayo at namba-bash kayo ng kapwa-tao." Love K-Pop? You should definitely check this out. All-male group FameUs made an appearance on Mornings @ ANC, serenading viewers with their rendition of Sam Concepcion’s “Mahal na Mahal." The group is set to take the stage on October 2 at the SMX Convention Center in Davao City alongside girl group Asha. On Wednesday, Twitter announced that its buttons will be refurbished for the first time since 2011. The 3D effect is gone and is replaced by a 2D white-on-blue, following Google’s bold move of going 2D on their logo earlier this month. By next month, the revised buttons will be in effect worldwide. Twitter will be removing the share counts, for reasons still unclear. In Pope Francis’ first Papal visit in the U.S., he spoke before thousands of people and held mass in Washington, D.C. However, people have hailed his visit to the White House as the highlight of his trip. His visit involves a meeting with Sunny and Bo—the presidential dogs. No details have been disclosed about the meeting, but the furry fellas sure welcomed the Pope in high spirits. Actress Sheryl Cruz told reporters on September 22 that she thought her cousin, Sen. Grace Poe's presidential bid was "too abrupt [and] early" and that "she would be a more effective president come 2022 and not 2016." Today, in a short statement, Poe responded, saying, "I thank Sheryl for her opinion and concern for us. As family, we will give her the love and respect she deserves." According to a report from 24 Oras, authorities have begun investigating the "laglag bala" modus at the NAIA, following complaints from passengers who fell victim to the scheme. "The investigation is ongoing as to the two security screening officers involved," said NAIA spokesperson David de Castro. "'Yong isa doon was a baggage inspector, the other one was an X-ray operator." One of the victims was a 20-year-old U.S. citizen who said that an Office of Transportation Security officer asked him to pay P30,000 to let the incident slide. He declined and ended up being detained for six days in NAIA Terminal 1. For those planning to head out of town for the long weekend, specifically those going north, The North Luzon Expressway's (NLEX's) management suggested that motorists schedule trips before the September 26 Iglesia Ni Cristo event at the Philippine Arena in Bulacan. The Iglesia Ni Cristo television channel (INCTV) described the event as "the largest evangelical mission ever in the history of the church." Heneral Luna isn't the only movie that will revive your faith in Philippine cinema. Here are 10 other recent Pinoy movies that have garnered plenty of local and international recognition. 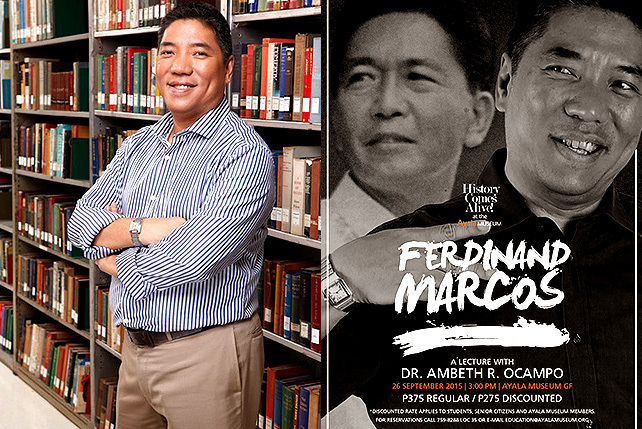 Renowned Rizal scholar Ambeth Ocampo steps out of his comfort zone on Saturday, September 26, at the Ayala Museum to give a lecture on Ferdinand Marcos. He let us in on his thoughts on the former president, Martial Law, and Baliwag chicharon. 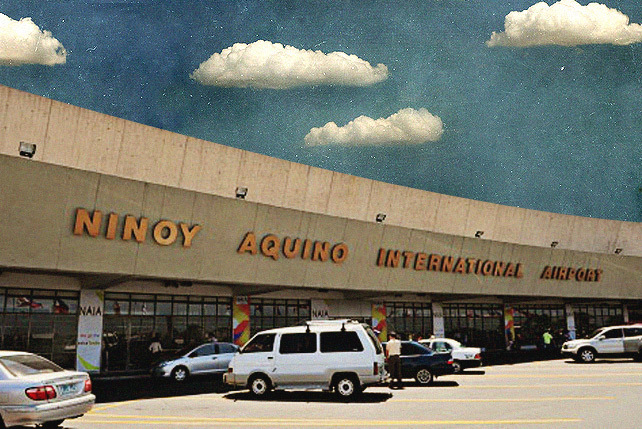 NAIA's Office of Transportation Security members accused of new "modus"